Jarðarmen is an Old Norse word meaning strip of turf or ring of earth. 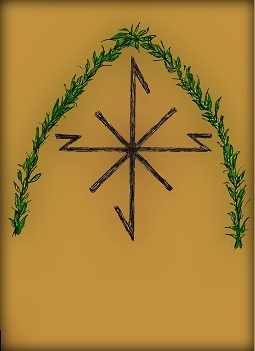 In Germanic lore there are numerous instances where individuals who, out of love, mutual respect, and honor, choose to extend their relation beyond friendship by making an oath of blood/foster-brotherhood through he rite of "Ganga undir Jarðarmen", or going under the Jarðarmen. The understanding is that these individuals would each spill some of their own blood on the Earth and swear an oath to one another while passing under an arch of earth supported by a spear. It is from this lore that we take our name and inspiration.